Abraham-Louis Breguet is generally credited with creation of the world's first wristwatch back in 1810. However, the style would only become popular among men and women alike in early 20th century. Until then, wristwatches had been marketed as bracelets, for women. However, World War I proved the practicality of wearing a watch on the wrist, especially due to the importance of synchronizing military maneuvers. The trend carried over to peacetime. 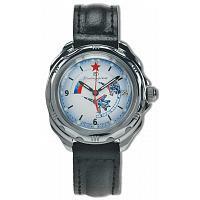 Russian watch history began in 1930 with founding of the first Moscow watch factory that produced Pobeda and Poljot brands. 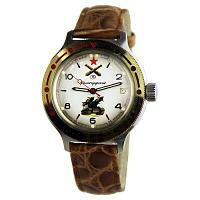 Another one - Sturmanskie - was worn by Yuri Gagarin on his maiden flight to space in 1961. To celebrate the success and flawless work of all systems, the Raketa brand was launched the same year. A decade earlier, a factory located in Zlatoust began producing waterproof stainless steel diver watches with luminous hands and dials. 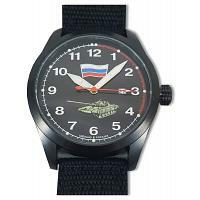 Other notable brands include Vostok (their military-style Komandirskie and Amphibia lines), Slava, and Luch. Most of the mentioned brands are still produced nowadays. Original design and high quality movements make Russian watches a great choice when looking for a classic reliable timepiece.